So, CakeSpy and Company (myself, Mr. Spy, and friends Nicole and Ramon) just packed up and went to Paris for a week (It's OK to be jealous. I would be if the roles were reversed). 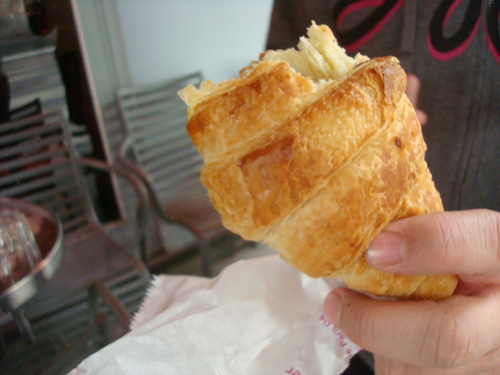 We rented an apartment in the Marais, and upon meeting with the rental agent who gave us the keys and let us in, the first pressing question about the neighborhood was posed: "Quelle est la meilleur pâtisserie?" Without skipping a beat, the response was "Legay Choc". Now, this kind of sounded like he was saying "the gay shock", but who am I to argue about a name when there is the promise of delicious pastry ahead? And within five minutes, we were there. And Legay Choc, as it turned out, was tiny and adorable. What did we get? So glad you asked. but the winner of the pastry round? 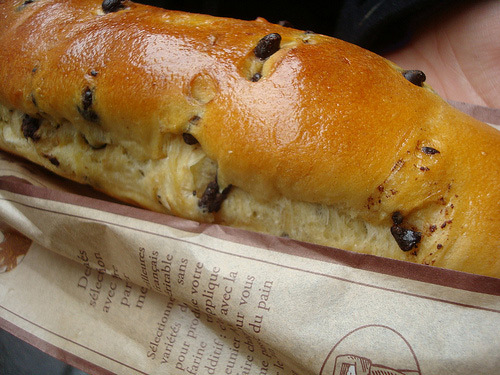 Sans doute, the Roulé Cannelle (it translates to "cinnamon roll". I looked it up). 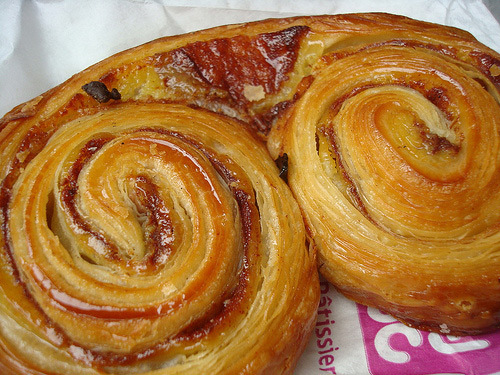 It looks like a palmier, but it is really so much more. The pastry dough is coated in a sweet mixture of caramelized butter, sugar and cinnamon which gives it a tantalizing taste and crunch; it is harmoniously matched by a smattering of raisins which add little bursts of sweetness and soft texture to the mix. And as a side note, the employee was extremely cute and nice--he somehow managed to not wince at my rusty gallic-speak, even when I accidentally pronounced "cannelle" as "canelé", which any French person can tell you is a different thing entirely. Legay Choc gets a thumbs up, way haute. 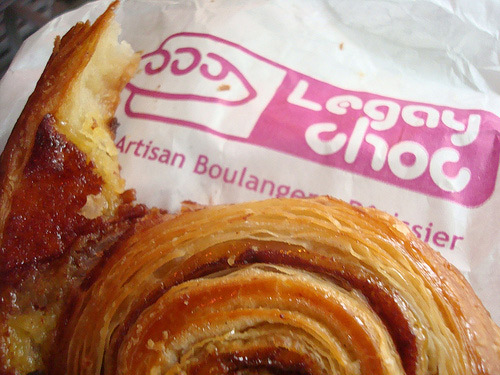 Legay Choc, 17, Rue Des Archives, Paris 04; online at legaychoc.fr.